Alison Gill is American Atheists’ National Legal and Policy Director. 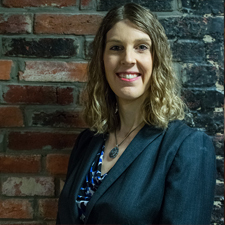 Alison is an accomplished attorney and a nationally recognized expert on LGBTQ law. Before joining American Atheists, Alison worked as a consultant to foundations and nonprofits focusing on advocacy strategy and systemic change. Prior her consultancy work, Alison served as Senior Legislative Counsel at the Human Rights Campaign where she managed state-level advocacy on issues such as conversion therapy, bullying prevention, education discrimination, LGBTQ health and wellness, youth homelessness, and LGBTQ data collection. Alison also worked as Government Affairs Director with The Trevor Project and as State Policy Manager with GLSEN, the Gay, Lesbian & Straight Education Network.